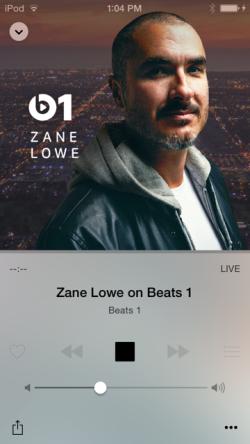 “We weren’t sure we’d get this thing on the air,” declaimed Beats 1 co-founder and first host Zane Lowe, during the first couple of broadcast hours. Beats 1, a new global Internet radio station, went live today at 9am Pacific time. Zane Lowe, splashily hired from the BBC to be the primary voice and curating force of the station, hit the streamwaves with unabashed enthusiasm and a boatload of promotions. Recognizing that many listeners haven’t been following the pre-launch news of Beats 1, and were encountering a brand new listening option after updating their iPhone operating systems, Lowe explained how it all worked, over and over, practically after every song. Here is our explanation of Beats 1. It is an Internet pureplay station co-located in three productions studios — L.A., London, and New York. Listeners in over 100 countries can hear it. Beats 1 is located in the new Apple Music app, included as a default feature of iOS v8.4, which became available this morning. The station is one component of Apple Music, which is Apple’s first on-demand, subscription-based music service. In our early listening we heard a decided emphasis on the station’s global reach as a defining characteristic. Lowe emitted shout-out greetings to strings of nations. Zane Lowe is not the only celebrity involved in the venture — in fact, to American listeners he might be the least well-known. Contributors and guest hosts announced by Apple include Elton John, St. Vincent, and many others. Lowe’s broadcast skills are undeniable, and he parlayed his (mainly British) reputation as a new-music curator by playing some tracks that could not be recognized by SoundHound. As Anna Washenko points out in her first-day Test Drive, Beats 1 might be Apple Music’s main discovery engine. We found ourselves reaching for SoundHound to identify and tag songs Lowe was spinning, but in some cases using an external app is unnecessary. A small menu on the Beats 1 panel offers “Add to My Music,” for users who are subscribed to Apple Music. 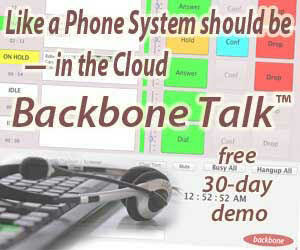 (A no-charge 90-day trial is available.) However, not all Beats 1 spins were available for saving. In those cases, Apple Music became non-interactive, offering only to start a music station based on the artist and song, Pandora-like. That intermittent frustration aside, we enjoyed the interactivity of moving a song from live radio to a music-service playlist, all in the radio app. It takes a large company with large resources to own all the pieces of that puzzle. 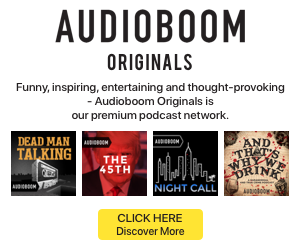 What lessons can large radio groups learn from this level of personalization? Slacker Premium has always let users do this. Hi Mike — thanks for the comment. Yes, all the on-demand services allow moving songs from streams to libraries. The difference here is the live, terrestrial-like radio station with a known new-music guru at the top. See also Kurt Hanson’s piece today, in which he speculates about Beats 2, Beats 3, etc. — each focused on a different genre. I’m 57 and love Beats1, discovering artists and songs I never would have heard before it. Great selections. Nothing to do with age.